Algo trading is the most advanced form of trading in the modern world. It is a system through which trading is done through computers that are set up with a predefined set of instructions, called the algorithm, and the computers execute the trade based on the algorithm. This technology makes the process of trading very fast, accurate and not inclined towards any human errors. The trades can be executed exactly at the price and volume specified and the time taken to process a trade is minimal. It helps in reducing the losses that are caused due to the time lag between placing the order and execution of the order. Another huge advantage of algo trading is that it is unaffected by the human emotions. A human trader may continue with a loss-giving trade in the greed of making profits or may give up on a profit-making trade due to fear, but the computer does not do that. Therefore, algo trading is a practical approach to trading. Although the trades are executed by the computer systems, the strategies to input into the computer as algorithms are to be generated by the traders. The traders decide what they want the computer to do, at what price, at what volume and at what time. So, algo trading strategies play a significant role in determining the efficiency and profits that can be obtained from algo trading. In this detailed article, we will have a quick glimpse at some of the strategies used as part of Algo trading by successful traders. These strategies have been tried and tested over a period of time and if executed correctly, can certainly lead to share market gains. Let’s take a quick look at some of the Top Algo Trading Strategies expert traders follow. These algo trading strategies are the simplest and most widely used. They simply follow the trends and the momentum in the market and the trades are executed accordingly. The technical indicators like moving averages and price level movements are studied and buy or sell orders will be generated automatically when a set of conditions are fulfilled based on these technical indicators. The momentum and trend based strategy also considers the historical and current price data to analyse if the trend is likely to continue or not and makes decisions accordingly. There are no complex predictions to be made; just straight and easy trend following. If the desired event occurs, trade is executed, if not then not. A simple example can be to set the algorithm in such a way that the system is instructed to buy the shares of a company when the 30-days moving average goes above the 180-days moving average and sell the shares when the 30-days moving average goes below the 180-days moving average. 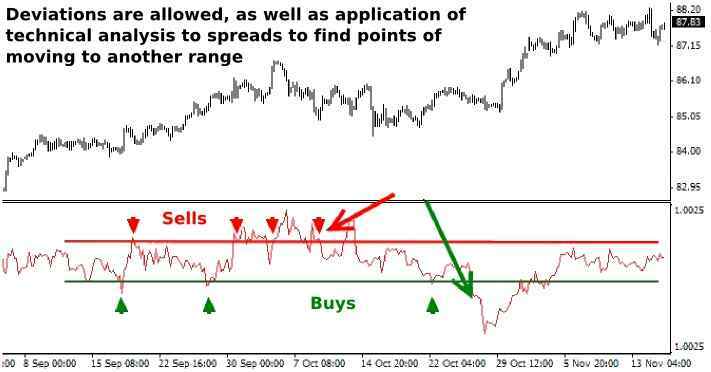 This strategy is a simple interpretation of the technical indicators. Arbitrage opportunities exist when there is a price difference in the securities on different stock exchanges. Arbitrage strategy is one of the algo trading strategies that make use of these arbitrage opportunities by using the computers to identify the opportunity as quickly as possible and making use of it. If a stock is listed at a lower price on one exchange and at a higher price on the other, the algorithm immediately identifies the price differential and executes a trade to buy on the low-priced exchange and sell on the high-priced exchange. This is where the speed and accuracy of algo trading, compared to human trading, plays a significant role. Although the price difference between the exchanges is not too much, so the volumes of such trades need to be kept high to gain considerable amounts of profit. This strategy is mostly applicable in terms of forex trading. As an example of the strategy, Infosys is listed on both NSE and NYSE. The algorithm will receive feeds from both the exchanges about the price of the company’s stock and with the help of the forex rates, the price in one currency will be converted into the other. If the algorithm finds a large enough price differential in both the listings due to the currency rates, it will automatically place a buy order on lower-priced exchange and sell order on higher priced one. Once the order gets executed, the trader gets arbitrage profits. Mean reversion strategy is one of the algo trading strategies that is based on the basic premise that the prices of a security may go high or low, but they do come back to an average or mean value at some point in time. It is also known as the counter-trend or reversal strategy. This strategy finds out the upper and lower price limit of a stock and the algorithm works to execute orders when the price goes beyond the normal range. The algorithms calculate an average price based on the historical data of the security and execute a trade expecting that the prices will come back to the average price. This means that if the prices are very high, they will come down and if they are very low, they will go up. So, this algo trading strategy is useful when the prices are at the extremes and the traders can benefit from the unexpected swings. However, this strategy may also end up backfiring when the prices actually do not end up reversing as fast as expected and by that time the moving average matches up with the price, leading to a reduced reward to risk ratio. 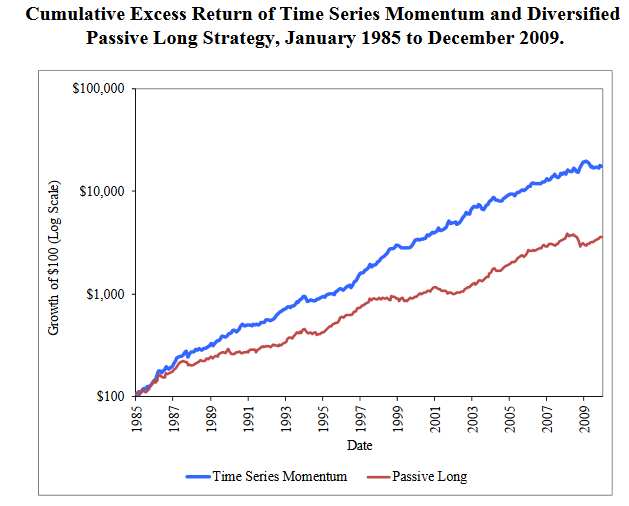 As an example of the strategy, when the 30-days ‘moving average’ of a security is lower than the 90-days moving average, it is assumed that the price is too low and is expected to return to the 90-days moving average price. This gives a signal to the algorithm to buy the security. Statistical arbitrage is one of the short-term algo trading strategies. It is based on the trading opportunities that arise due to the price inefficiencies and misquoting of the price of the securities. This occurs in securities that are related to each other or are similar in nature. Now it is quite evident that inefficiencies and misquoting do not stay for a very long time. They get corrected in a short duration and therefore algo trading becomes an efficient way to catch them and make profits. In this case, the algorithms consist of complex mathematical models that detect the price inefficiencies as soon as possible and execute the trade before the prices get corrected. A human trader may not be able to track such changes, even if he is extremely dedicated, aware and up to date, but the algorithm, due to the predefined instructions, tracks them as soon as they occur. As an example of the strategy, the two companies Bajaj Auto and Hero MotoCorp are somehow related to each other in terms of security pricing. If the price of Bajaj goes down, the price of Hero will also go down but it will soon come up as the price went down due to market inefficiencies. Based on statistical arbitrage strategy, the algorithm will immediately detect the fall in Hero’s stock price and buy it and then sell it later when the price gets corrected, thereby making a profit. This is also one of the most efficient algo trading strategies. It can either be based on volume weighted average price or time-weighted average price. In this strategy, the orders are large but they are not released at one go. The orders are released in small parts using either historical volume profiles of the stock or certain pore defined time slots between a start and end time. The objective of this strategy is to execute the order as close as possible to the volume weighted average price or the time-weighted average price, to reduce the impact on the market. The computers and algorithm play a successful role in releasing the orders in small parts, which may not be humanly possible with as much efficiency and accuracy. Thus, we can observe that there are multiple strategies that can be chosen from while doing algo trading. The algorithms are designed in ways that are compatible with the strategy chosen by the trader and the orders are executed accordingly. So, although it is the algorithm that is placing the orders, it is actually the trader who designed the algorithms and the strategies who defines how the trading will occur. The traders can choose which strategy to follow at what time depending upon the market conditions and other factors. In case you are looking to get started with Algo Trading with one of the top stockbrokers in India, just fill in some basic details in the form below. What is Algo Trading in MCX? Algorithmic trading simply means turning a trading idea into a trading strategy via an algorithm. The trading strategy thus created can be backtested with historical data to check whether it will give good returns in real markets. The strategy can be executed either manually or in an automated way. this is what I was looking for. Thanks for the info.